Keeping your wits during an emergency evacuation of a building is easier said than done. If it’s a hotel or an unfamiliar mall, following the leads can be difficult and even confusing at times. 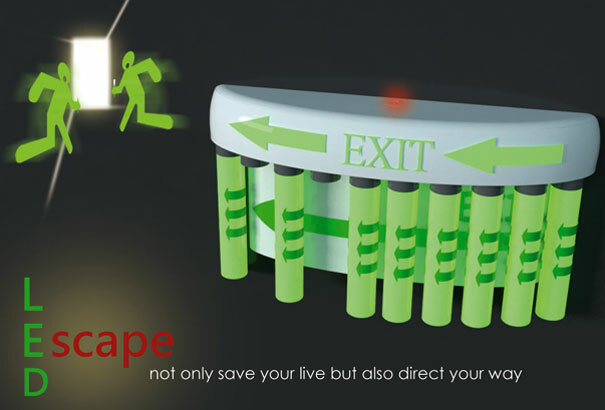 The LED Escape Light is a portable LED electric torch meant to tackle this issue of unfamiliarity. It comes with a built-in projector that projects a map to guide you out accurately. I like the handy stand that it is housed in, with an easy grab-and-run vibe. The LED Escape Light won a Liteon Award as well. Flank Legs, Wow finally better leg protection. Protection from the elements, meaning pedal bit back, rocks, falling down. Anything to help protect one of the most valuable body parts. A bold combination of lightweight fabrics and impact protection, the Flank Leg is the evolution in Race Face protection. Tapping the industry shift towards lower profile, innovative protection, driven by DH racers and free riders. Nano Puff® Scarf is better than a stout Amish quilt for sealing out persistent cold. It has a smooth, skin-pampering feel along with the technical benefits of wind-and-water resistance, and features a slick all-recycled polyester shell and a highly stuffable layer of 100-g PrimaLoft® One quilted on the inside to warm up a damp evening or a day on the slopes. A pass-through slit creates oodles of fit possibilities; it's reinforced for durability. Recyclable through the Common Threads Recycling Program. At Patagonia we seek to build the best product and cause no unnecessary harm. That's our mission statement, and it takes many forms. As it applies to making products, we work hard to source materials and use processes that are less harmful to the Earth without compromising quality. Because to us, quality is not only how well a product performs and holds up, but also how it's made. If something breaks when you are out and about, yes you could call for help or you could reach into your pouch and pull out Sugru. break the seal and patch your problem. Now this is a quick fix but it will get you home. Extremely clever scientists have been working on sugru for over 5 years to give it as many great physical properties as possible, so it can be as versatile and useful as possible for you. Sugru can help you dramatically prolong the life of your stuff. By applying in some cases even a teeny tiny bit to your things, you get to keep them for much longer and decrease your impact on our wee world. Repair with gusto! Now the downfall is that you have to use it within 6 months, now if you have kids I am sure this will be used up in a sec. 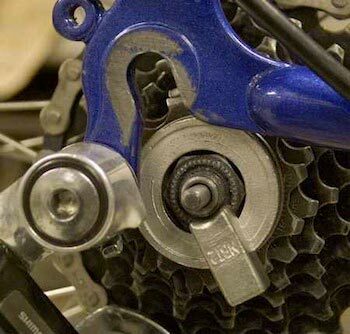 Call this Bike Parts 2.0, this tools makes things a bit easier and less bulky to the alternative. Hey here in the Northeast it is getting code, Labor day has past, leaves are starting to fall and Cross Country, Cyclocross is upon us. Well break out the Thermal Compression from ZOOT, best used when cold to keep your core warm. CompressRx Thermal provides all of the advanced benefits of CompressRx while keeping you warm during those cold training days. CompressRx reduces muscle fatigue and increases blood flow, so you can train harder and recover faster!